Choose free entry to over 40 unique attractions and tours in Boston and its surrounds, then let your Go Boston Card do the rest. You'll receive discounts and special offers on shopping, dining and activities, plus a 69-page guidebook to help you plan your Boston vacation. 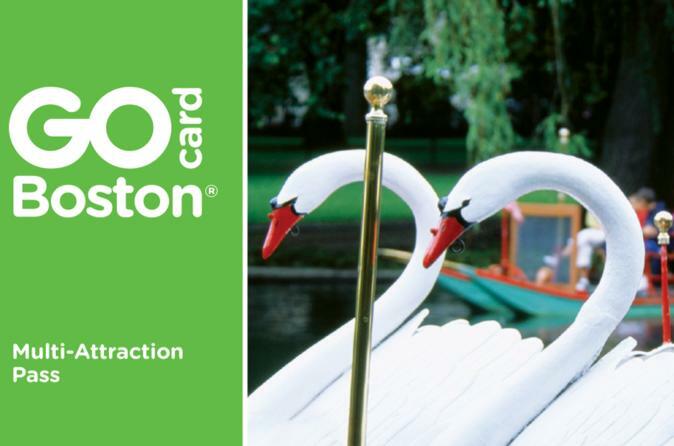 The Go Boston Card leaves you in control, allowing you to have the best, customized experience possible. The Go Boston Card is available for one, two, three, five or seven days. You may visit as many attractions as you like in one day, but you are limited to visiting each attraction only once per day.